Hi! 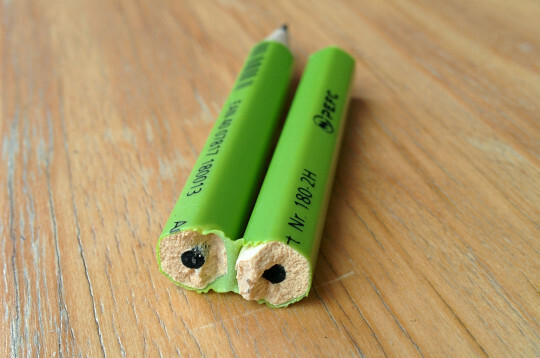 Sorry about your pencil. Do you have any of those nifty pencil extender things with the collars that slide down the barrels to grip the pencil stubs? One of my courses this semester includes refractory materials and I am wondering what type of furnaces you have at work and why you would be opening the fire doors? Rick, I do have one of those extenders, but they are at home and I am in the office. For now I fixed my Wopex using sellotape. When I mentioned the fire door I was referring to this type of door: http://en.wikipedia.org/wiki/Fire_door They are just hinged doors with overhead door closers. Pingback: Just another pen ? !Blick über den Tellerrand vom 28. March 2015 - Just another pen ?! John, I also like the coating – it gives you great grip. I don’t know how they will feel like in a decade or so – I have two radios that used to have a surface that felt similar. Now they just feel sticky because the coating deteriorated.